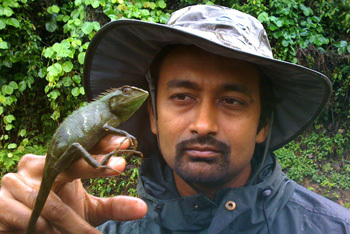 Sandesh Kadur is an ardent naturalist with a keen interest to document the natural & cultural world around him. Images, prescription Sandesh feels, have the power to move people in a way nothing else can, and it is this power he hopes to harness through his work and inspire his audience to protect and appreciate what remains of our wilderness. A few years ago he founded Felis Creations – a media and visual arts company based in Bangalore that focuses on creating content that inspires conservation. He is an associate member of the International League of Conservation Photographers (ILCP) as well as a member of Filmmakers For Conservation. He makes his home in various ecosystems across the globe.